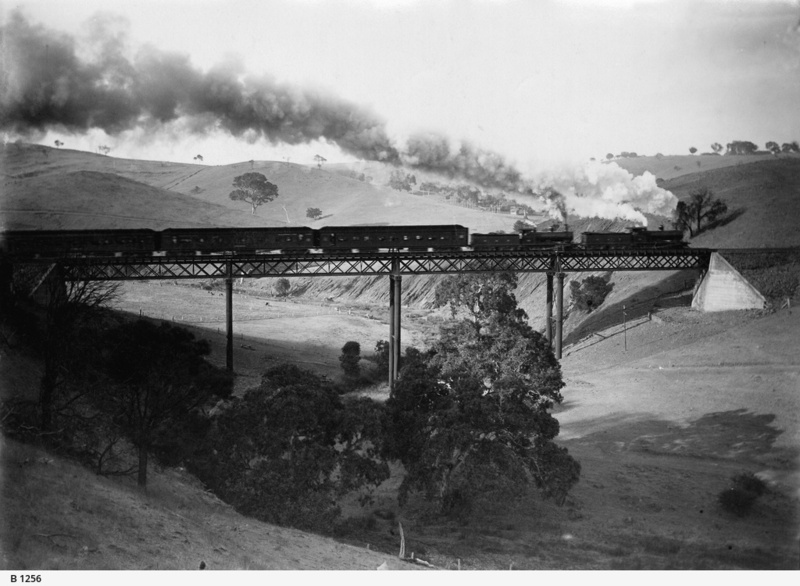 Smoke billows from the steam engine, making a dramatic scene, as the Melbourne Express crosses Scott's Creek Bridge at Callington. The bridge is 60 feet high. Reproduced in the "Chronicle", April 14th, 1923.